Should a separate product be sold through a separate channel? If a new product is pretty much more of the same then the answer is obviously “no.” If the new product is disruptive, sold to a different customer base, or requires different knowledge to sell then the answer is less clear. There seem to be several main inputs into the decision. Cost, reach, conflict, transition and disruption. First, cost. Each channel costs money. Obviously a separate direct sales force, as Cadence once had for the Alta Group (its system level tools), is expensive. Less obviously, even a distributor or reseller has cost too: upfront cost in training them and ongoing cost in supporting them and in the portion of each sale that they retain. At the very least the separate channel needs to be more productive than it would be to simply sell through the existing channel. By productive, I mean delivering more margin dollars. Sales might be higher with the separate channel, but sales costs might be even higher still making it unattractive. That is one reason that typically when an acquisition is made, the sales force from the acquired company is folded into the sales force for the acquiring company (usually with some of the lower performers being surplus to requirements) rather than being ramped up aggressively as a separate channel. The second issue is reach. The existing sales force sells to certain customers, and in fact to certain groups within those customers. It will be hard for an existing sales force to sell a new product if it has different customers or even completely different groups within those customers. Their “rolodex” (or CRM system) isn’t any use. They are not already on the right aircraft, they are not already going to the right meetings. In this case, that militates for having a separate channel. The third issue is conflict. 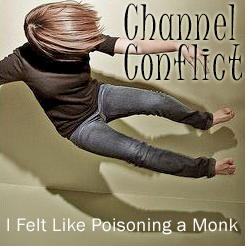 So-called “channel conflict” occurs when a customer might be able to purchase the same product through more than one channel, specifically more than one type of channel, such as direct from the company or via some sort of reseller. This has impact on pricing in a way that might have downsides. For example, go up to Napa Valley and visit a winery. For sure, the winery will be very happy to sell you a few bottles of wine. Since they don’t have any middlemen and have a huge amount of inventory (they don’t just have the few bottles in the store, they have hundreds of barrels of the stuff in the back) then surely they will sell you the wine for less than anyone else. But, in general, they will sell you the wine for the highest price anywhere. If they sold it for less, they would make more money at the winery but they would risk having distributors and restaurants refuse to carry it. In EDA, if there is a product available through distribution and direct, then the direct channel cannot routinely undercut the distribution or the distributor will soon stop actively selling. The fourth reason to have a separate channel is when the market demands, or the company decides, that it must transition its sales from one channel to another. Maybe they decide to move from direct sales to only doing telesales or only taking online orders. Or perhaps they decide that the day of a standalone product has gone, and they will only be able to sell integrated with a partner going forward. The channel must switch from however they sold before, to simply relying on the partner to sell their product and getting their share of those sales (and, presumably, enlarging their partners market in some way or else the partner wouldn’t be interested). I’ve talked before about how in EDA OEMs only work when the product is actually a component, since otherwise the customer will always want a direct relationship with the real seller. But if you do have a component, rather than a product, you must sell through an OEM type of license (as do companies like Verific or Concept Engineering). Finally, disruption. If you have a product that is disruptive you have to have a separate channel. Disruptive, in the Innovator’s Dilemma sense, means (usually) that it is sold at a low price point to people who are not served by existing products, and where the low price point product is expected to improve fast and gradually swallow most of the market. Think early PCs versus minicomputers or teeth-whitening strips versus dentist’s providing whitening service. The existing channel is threatened by the disruptive technology, may not even be able to cover its channel cost (think of your dentist selling you teeth whitening strips you could just pick up in Longs) and will be unenthusiastic about selling it compared to more profitable lines. If you are going to be brave enough to try and kill your own baby, then you need separate organization for the baby and the killers. Sometimes, moreover, the disruption is the channel itself (Amazon and bn.com or, for a historical example, Sears starting to sell by catalog as well as department stores). This means a new channel by definition. EDA has rarely had a separate sales force, since it is just too expensive. One that I mentioned above was Cadence’s Alta Group. For a period that had its own sales team and was successfully growing revenue. But it was expensive and Cadence decided to fold it back into the main sales force. Sales declined and Cadence ended up “selling” that part of the business to CoWare (which you can regard as one way of going back to a separate channel). How to get a picture like the one above. Who needs a real band, rehearsals, or a recording studio? Thanks to the power of the internet, you can have your very first album the no fuss, no muss way! 1. Go to the Wikipedia random article page en.wikipedia.org/wiki/Special:Random. The title of the article is your band name. 3. Go to Flickr’s "interesting photos from the last seven days" page www.flickr.com/explore/interesting/7days / . The third picture on the page is your album cover.